Instead, they're included as part of your customers' orders. 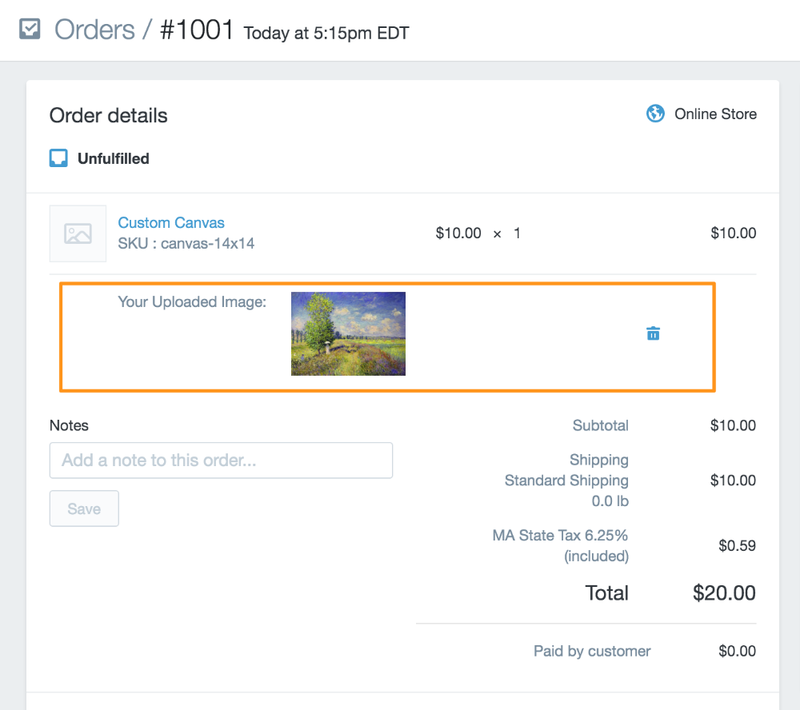 In order to access them, you'll need to view the order that includes the uploaded file by going to "Orders" from your Shopify admin. When you click on the order number to view the order, the file will be included for the customized product. If the uploaded file is an image, it will be displayed, otherwise a link will be shown to click and download the file.